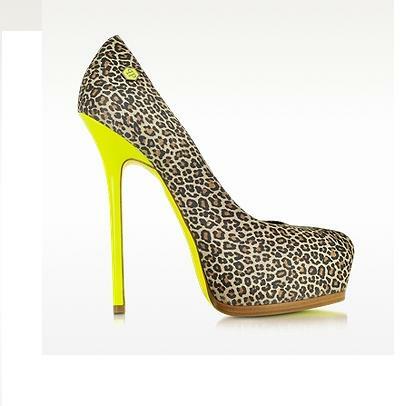 High Heel Fluo Amazon are crafted in beautiful Leopard-print kid suede with fluo leather detail creating a wildly elegant pump as only Plein can do. Featuring fluo sole and stiletto 15cm/6in heel with platform and rounded toe. Signature dust bag and box included. Made in Italy.